By Train For most people the best means of getting to Zermatt is by train. There are railway stations in both Switzerland's main international airports, Zurich and Geneva. Swiss Railways (SBB, CFF or FFS in trilingual Switzerland) are efficient and fast. If you join a tour I will send you detailed advice to enable you to get maximum discounts on all travel in Switzerland including mountain railways and cable cars for the full duration of your stay. There is no cost advantage in booking your ticket in advance but check the website for times and costs. Click here for an online railway timetable. From Zurich There is one train per hour direct from Zurich Airport to Visp. There are more trains but these necessitate a change. From Visp the Matterhorn Gotthard Railway takes you straight up to Zermatt in just over an hour. From Geneva There is one train per hour from Geneva airport direct to Visp. From Visp the narrow gauge Matterhorn Gotthard Railway takes you straight to Zermatt in just over an hour. By Car You cannot drive to or park in Zermatt without incurring a stiff fine. Therefore if you are coming by car you must park in Tasch and take the 10 minute journey by train which shuttles between Tasch and Zermatt 3 times an hour. Car parking facilities in Tasch are provided at the ‘Matterhorn Terminal’ which adjoins Tasch railway station. For those coming by car with luggage I can arrange for you to be picked up in Tasch if you wish. By Air Other than the international airports at Zurich and Geneva the closest airport is at Sion. 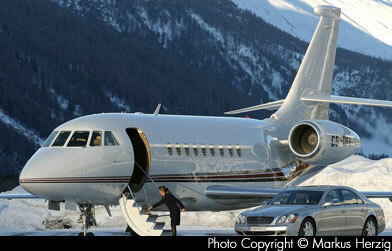 There are no scheduled flights but those wishing to charter a private jet can fly to Sion. I shall have a helicopter standing by to whisk you in to Zermatt in just 20 minutes.